Supplemental minerals have many benefits to the deer in your area, including some that most hunters are not aware of. These days, it seems that everyone wants bucks with big antlers on their property. The sellers of mineral supplements have fed into this by telling potential customers what they want to hear. Ever see a package of deer mineral with a small buck on the front? Nope; the photos are all of giant nontypicals. Sensationalism sells. Truth is, the right minerals can help the overall health of your deer, but the relationship between how much commercially produced mineral a buck eats and the size of his antlers is not as great as we would all like. Several studies have shown that feeding minerals to deer has little effect on the size of their antlers, unless the soils of that area are significantly deficient in calcium and phosphorous. Don’t throw out your bag of supplemental deer mineral just yet. There are several reasons to establish a mineral lick on your property. These mineral sites benefit not only bucks, but does and fawns; and they have some benefits to the hunter as well. The annual growth of antlers is extremely hard on bucks. Those amazing bone growths on the head of a mature buck grow in about 100 days each year and while growing, they rob the buck’s body of nutrients it needs to have a strong skeletal system. Not only are all the nutrients taken in going to the growth of the antlers, but their body robs nutrients from the bone structure and directs them to the antler growth. The summer antler growing season is a dangerous time for bucks as their skeleton is weak and prone to breakage. They don’t move more than necessary and they avoid severe physical activity that could break a bone. 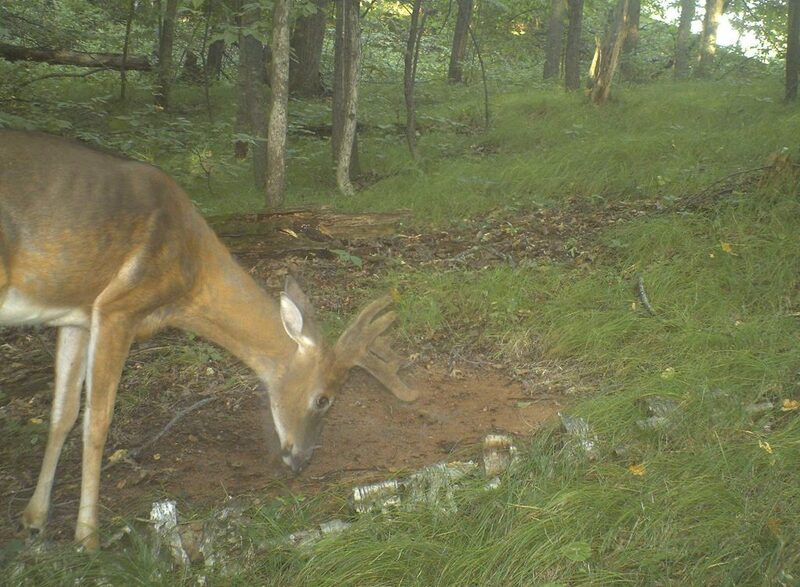 Supplemental nutrients help the buck’s skeleton remain strong during this time. One of the ways dairy farmers increase their milk production is the addition of key nutrients and minerals. Minerals can do the same for deer. Healthy does raise healthy fawns, and the more milk they produce, the faster the fawns will grow, which helps them avoid predators. Improved growth rates in fawns can be tied to overall health as adult bucks and does as well. Studies have shows that healthy does with plenty of nutrients have increased reproductive efficiency. I am sure you have noticed that some does have only one fawn, some have two, and at times, three fawns are seen. This is tied more to diet and overall health than genetics. While most yearlings that breed have just one fawn, does having their second births more often have two or three fawns if they have plenty of minerals in their diet. Most mineral formulations taste good and the deer relish them for their taste in addition to their cravings for the nutrients. This may cause bucks to remain in the area rather than seek satisfaction elsewhere, like the neighbor’s property for example. Having everything a buck needs on your property includes food, water, secure cover, predator control and of course a diet that includes all the nutrients they need. By providing all these things, you reduced the chances that your bucks are going to stray off the property into areas where they may be shot before they have a chance to fully mature. Diseases such as EHD and Chronic Wasting Disease is on the mind of every hunter. It’s long been known that healthy deer have a better chance of fighting off disease. But one company is taking that even further. Ani-Logics produces a mineral supplement that contains minerals that help boost the deer’s immune system. They add Manganese, Copper, Zinc and Selenium which they say strengthens the animal’s ability to fight off bacterial and viral infections. A probiotic also helps the deer utilize feedstuffs which allows the body more energy to build antlers, body mass and immune function. 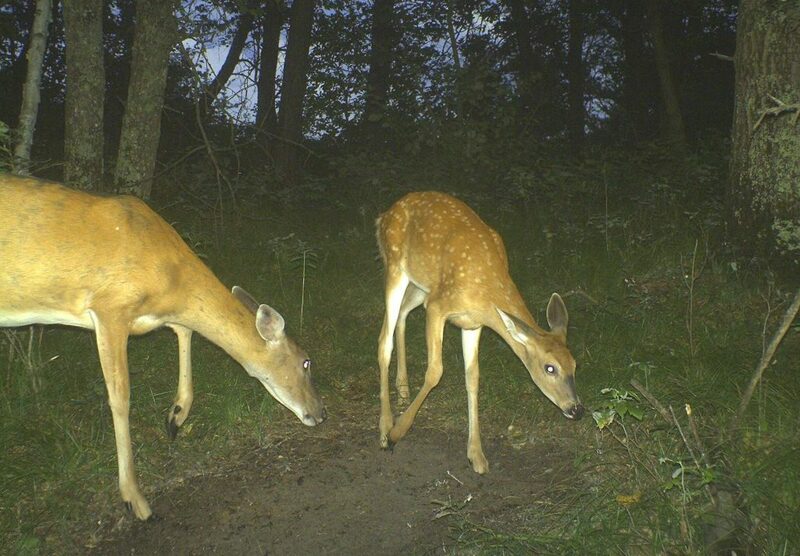 One of the best ways a mineral lick on your property can help the hunter is the ability to monitor deer. 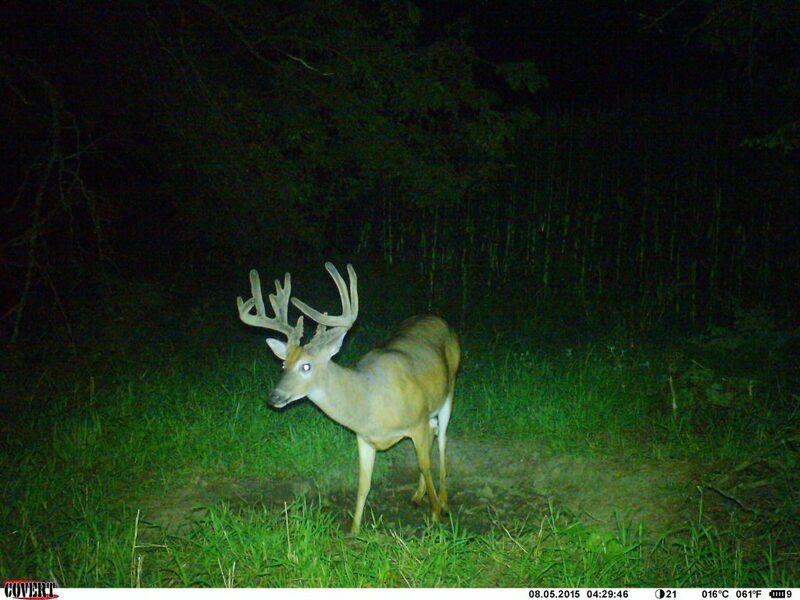 A scouting camera set over the mineral site will keep a running tab of all the bucks on your property and help you monitor their growth. Virtually every buck that cruises through that area will stop for a moment and check out the mineral site, which gives you an opportunity to get a photo and observe the deer. So you can see that supplemental minerals are about much more than just adding inches to a buck’s headgear. The right mineral will improve the overall health of all the deer on your property; that goes for deer of both sexes and all ages.